This fantastic poster greeted me when I arrived at Allerton High School yesterday. The excellent team of students who organised my day of speaking and bookmaking with visiting primary pupils also made a variety of wonderful posters, flip charts, bookmarks and certificates. They were all charming, friendly and creative – a credit to their school! 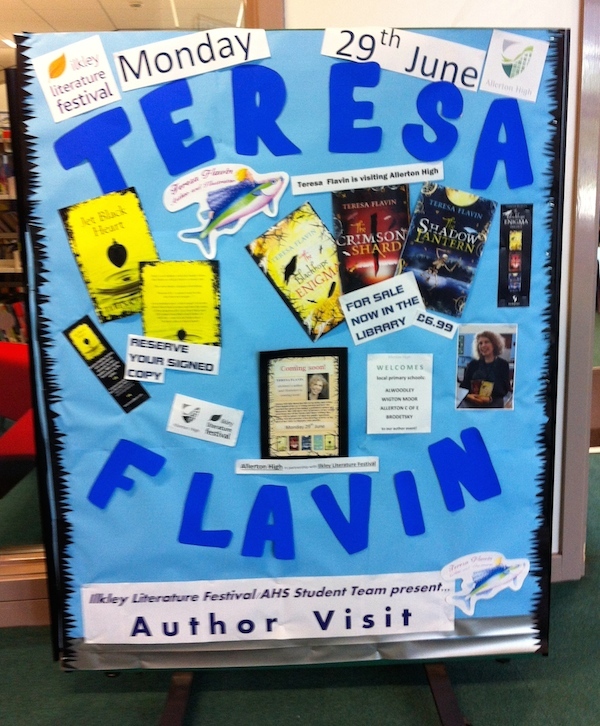 Big thanks to everyone at all the schools involved and to the Ilkley Literature Festival which sponsored the event.